This map shows territory of Japan. 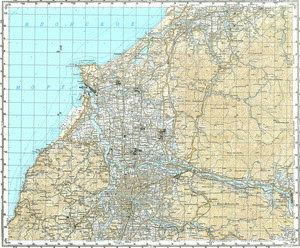 topographic map of Fukui-shi calibrated for you. free map of Maruoka displayed. interesting map of Mikuni 1 cm to 1 km for gps. free map of Yamashiro и OziExplorer calibration displayed. interesting map of Yamanaka 1 cm to 1 km here. detailed map of Ushinoya here. interesting map of Tougou и OziExplorer calibration presented. map of Shioya for gps. map of Onyu и OziExplorer calibration here. detailed map of Namimatsu 1 cm to 1 km free download. topographic map of Nakagawa displayed. detailed map of Morita displayed. free map of Mera calibrated displayed. free map of Matsuoka for Garmin. map of Maruyamacho и OziExplorer calibration download for free. interesting map of Gumizaki with gps calibration for gps. detailed map of Kanazu 1 cm to 1 km download for free.